Founder and Artistic Director Virginia Holte has created her own syllabus combining different methods of ballet training, including the Cecchetti, Royal Academy of Dance, and Vaganova Methods, to provide the broadest ballet education possible. 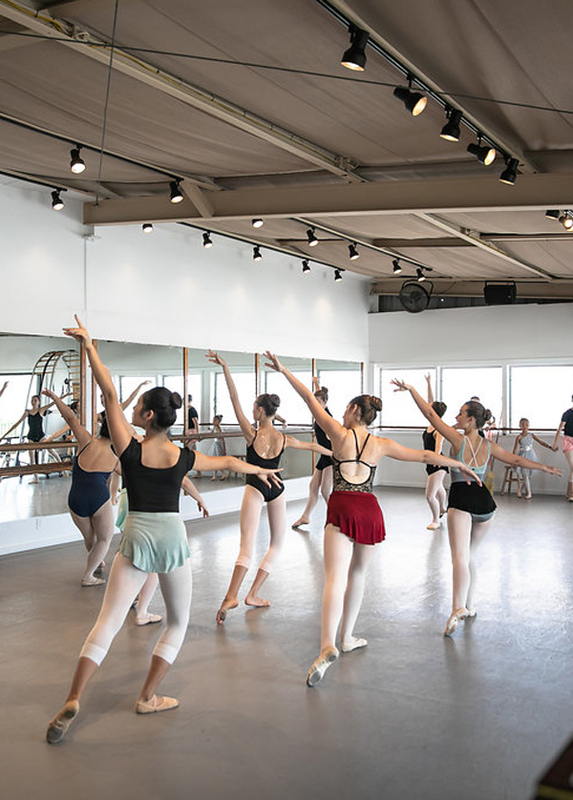 This “mixed-plate” approach equips WHDTA students with the edge they need to compete when they attend summer programs, college, and dance-based programs, often skipping levels that have already been fulfilled by WHDTA. 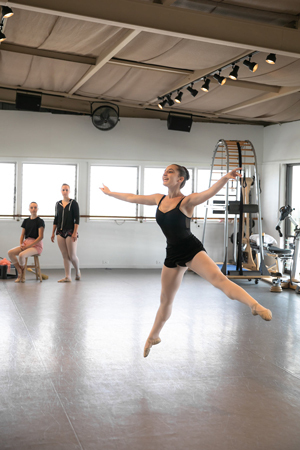 More experienced WHDTA students frequently participate in summer internships with established dance programs, traveling to the mainland to pursue their passion, even earning scholarships and merit awards. Each level of ballet is based upon taking the appropriate number of lessons per week on a regular, uninterrupted basis. The minimum amount of lessons per week is not mandatory but taking less than the recommended curriculum will slow mastery of each level. Progression to the more advanced levels will be affected if one is not regularly attending. Each level has it’s own standardized curriculum syllabus and will take anywhere from 12 months or longer for completion. Advancement depends on a variety of things: age, maturity, inherent ability, adherence to the program, and aptitude. Students are moved up when they are ready or by teacher recommendation. To achieve promotion students must pass a written exam and demonstrate that they have mastered the curriculum required for that level. Personal development and command of technique and steps is accelerated in the beginning levels. As the student progresses, more time must be spent on the development and maintenance of strength, balance, coordination, and flexibility. Nurturing the love of dance, building strong dance foundation, correcting posture, placement, discipline, coordination, strength, flexibility, musicality, and working in groups. These classes will introduce the basic ballet positions and vocabulary to build upon in later training. The emphasis is on rhythm skills, spatial awareness and fun, easy choreography with games to build coordination, strength, and flexibility. This class is geared towards inspiring the young dancers’ dreams and developing an appreciation for dance. This 2-year program introduces the younger student to the basic elements of dance. Class begins with a brief introduction to the ballet barre, followed by simple stretches and isolation exercises. Basic dance positions and movements and the French words for them are introduced, and coordination and musicality are explored with traveling steps across the floor such as gallops, skips, and waltz steps. Dancers also learn about listening skills and class etiquette. Building on Primary Ballet I, This 2 year program continues to build Ballet basics,coordination, & vocabulary. Class begins with ballet barre, followed by simple stretches and center technique. coordination and musicality are explored with additional combinations of traveling steps across the floor. This is a 3-year program with a possible transition year (Ballet I/II) based on teacher recommendation. 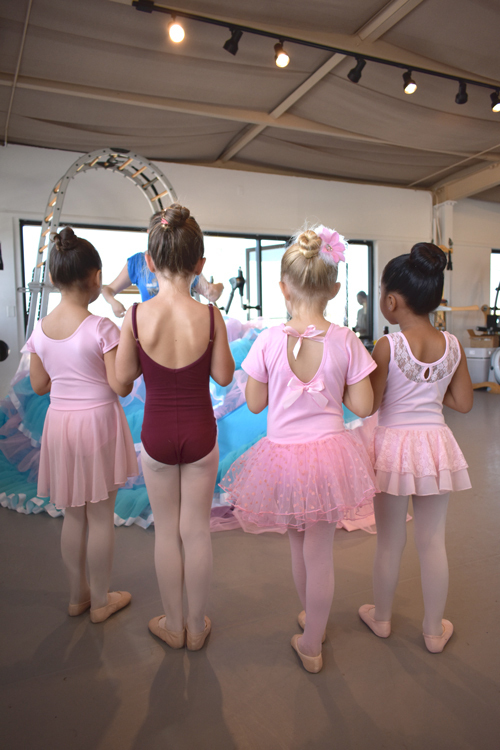 At the barre, students are taught the fundamental aspects of ballet technique and develop proper/appropriate alignment, posture and placement in the elementary positions, promoting safety and strength. In center floor, students practice full movements and positions of the arms and head, learn various traveling steps, and explore rhythms. This is a 3-year program with a possible transition year (Ballet II/III) based on teacher recommendation. Focus is on further developing a strong basic technique, using more difficult positions, leading to the ability to perform a wider range of movement vocabulary in the center floor. Recommend two classes pr week minimum. Geared to dancers who wish to dance on pointe, and/or pursue a career or college education in dance or the performing arts. Recommended minimum 3 ballet classes per week plus complementary dance disciplines. Students interested in dancing on Pointe are required to take this class in preparation for their Ballet II Exam. Those who have already taken the test and have pointe shoes are encouraged to attend for review. Dancers practice basic steps and movements used in pointe class, focusing on strength in the feet, ankles in legs, to prepare for pointe-work. Those who are beginning pointe will take the same class in their pointe shoes. Focus is on developing strength in the fundamentals of pointe work so that students can work correctly and safely. Participation requires teacher recommendation, 2 years continuous training and minimum 2 ballet classes per week. Students will also need to pass a physical and oral examination. Dancers fine-tune the basic positions and movements at the barre, complete with fully coordinated use of the arms and head. Skills are applied to further develop center work, where greater strength leads to a larger vocabulary of traveling steps, turns, and jumps. Students must have teacher recommendation to move to Ballet III. To best prepare for future endeavors, students will be introduced to a variety of variations and repertoire from traditional classical ballets such as The Nutcracker, Swan Lake, Don Quixote and Coppelia to name a few. 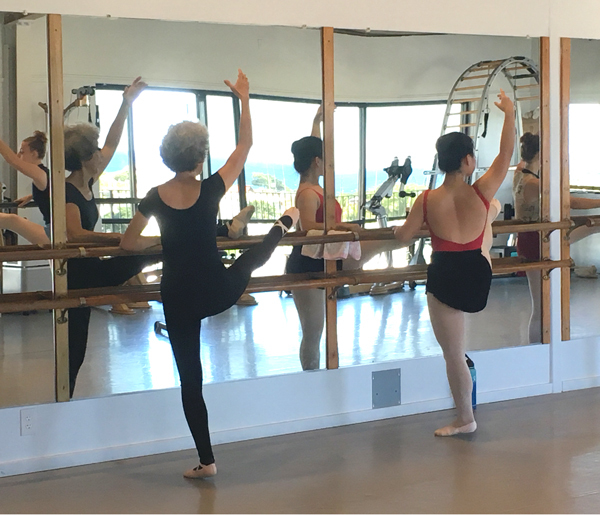 The highest level of ballet: students practice more advanced barre work, focusing on accents and speed with accurate placement. Center work becomes more precise, allowing increased balances, extensions and speed, and more complicated steps. To best prepare for future endeavors, students will continue to work on a variety of variations and repertoire from traditional classical ballets such as The Nutcracker, Swan Lake, Don Quixote and Coppelia to name a few. Designed for students of all levels of training who are looking to dance for recreation, fitness, and enjoyment. Slower classes work on technique and placement. Is designed specifically for the older student with not much experience. Students will expand barre work in intensity and duration and will be introduced to beginning center work.